Sometime in 2014, it seemed like everything went wrong and I was losing hard drives left and right — the hard drive on my computer at work decided it wanted to take a dump, and then 2 of my external hard drives and some of my internal drives (in a RAID0 array) on my home workstation decided they wanted to follow suit. I lost A LOT of data, and didn't have very recent backups of my work and photos. After that catastrophe, I decided I'd finally start putting together a NAS solution, and a total backup "ecosystem" — something that I knew I needed, but something I put off for far too long. Keep in mind that there's a million different ways to do this; I'm simply sharing my own setup that has worked well for me over the last few years. It's simple to setup, and works more than well enough for my needs. "One is none and two is one" — whether it's an important client shoot or for personal use/memories, it's important for photographers to have backups of all their work. Most make do with multiple external hard drives or cloud storage, but both solutions by themselves are not optimal. Ideally a backup or disaster recovery solution would incorporate a number of backups or failover methods in case of catastrophic data loss. A NAS by itself is by no means a be-all end-all backup/recovery solution; it's simply a piece of the puzzle in an all-encompassing backup solution. For critical data, there are other means to ensure you don'e lose any of it — cloud storage, off-site storage, or other methods or systems for ensuring data safety. A NAS is "Network Attached Storage" which is a fancy way of saying a hard drive (or collection of hard drives) attached to your network. This allows the drives/drive array to be accessed by anyone on the network (with the correct permissions, of course). They come in all shapes, configurations and sizes, but for the purpose of keeping this article as short as I possibly can, I'm only going to cover my own choice(s) when I began looking at a NAS solution. 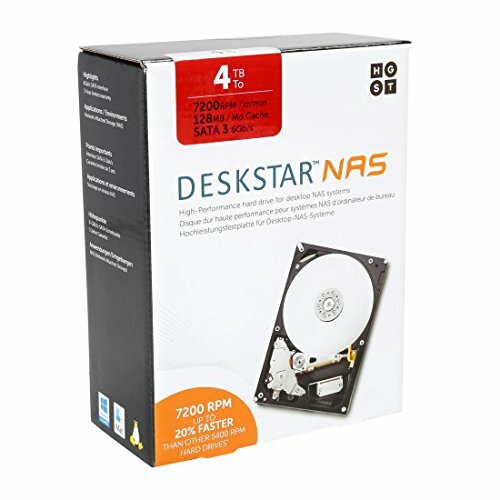 How much does a NAS cost, and where do I start? My particular setup, outlined below, costed about $1,100 - $1,200 USD to get up and running, between the cost of the ready-made enclosure. It's possible to turn an old computer into a NAS server, but setting one up both hardware and software-wise is beyond the scope of this article (I may cover it in a future article if there's any interest, so comment below if this is something you would like to see!). The easiest, and most compact way to begin with your own NAS is probably with an off-the-shelf NAS enclosure. They come in at different price points and configurations, so you need to evaluate your budget, your needs — and more importantly, your future needs — and purchase accordingly. You don't want to find out down the road that you need or want more storage and either need to buy a new enclosure, or an expansion unit, taking up more precious desk space, so consider your needs carefully. After choosing an enclosure that fits your needs, you need to evaluate your storage requirements — How much space do you currently need? How much will you (realistically) need in the future? SSD's for massive amounts of storage is still a bit prohibitively expensive — mechanical HDDs are extremely inexpensive by comparison. Besides, when configured in a RAID array, the speed of mechanical drives will be more than you'd need, especially for archival and backup purposes. 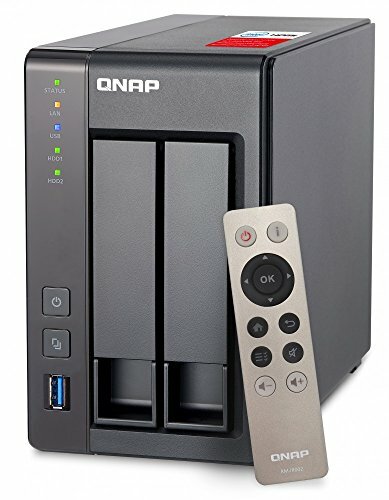 I started with a QNAP TS-453 Pro 4-bay enclosure (note: this particular model is no longer made and has been replaced with a newer model) I chose a 4-bay enclosure over a 2-bay to allow me future expandability as larger hard drives became more affordable. Additionally, a 4-bay enclosure would also allow me to run different RAID configurations that would suit my backup requirements (more on that later). Additionally, the small size fits nicely on a desk and looks at home with other hardware like modems, routers, switches, PCs, etc. I chose the 8GB RAM version, because I would also be using this NAS as a home media server (with Plex), and running virtual machines for testing. If none of that makes sense to you, you'll be fine with the "standard" 4GB RAM version, and can still use it as a media server. If you don't need — and don't expect to need — an absolute ton of space, you can even get buy on a cheaper — but just as capable — 2-bay enclosure. 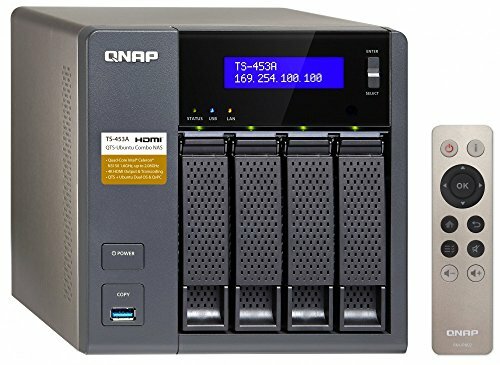 I filled the QNAP with 4x Hitachi 4TB Deskstar NAS Drives (6TB versions are available at about $100 more per drive) — I chose these drives in particular because of both my experience with — and the reputation of — Hitachi drives, and the price of the 4TB drives struck a good balance between capacity and cost. The drives obviously feature plenty of space per drive at 4 Terabytes, and have 128MB of cache on board, which is twice, or 4 times as much as the more budget drives. They're also 7200RPM, which means accessing and reading data is faster than the marginally cheaper (and slower) 5400RPM drives. 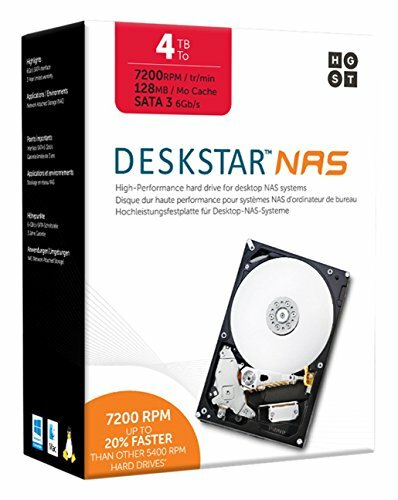 Finally, these are "NAS" drives, which are designed to be more durable with a higher MTBF (mean time before failure) than a regular HDD designed for use in a desktop. I've had my NAS running 24/7 for the last 2 years or so — running a media server and virtual machines in addition to mass storage for all of the computers on my home network — and have not had any issues yet. Remember, this is where all of your data will be stored, so buy the best you can afford, and that fits your storage requirements. JBOD — Short for "Just a Bunch of Disks", ?JBOD is exactly that — just a bunch of disks. Meaning no redundancy, and no built-in fail-safe. What JBOD does in this instance of 4x 4TB disks, is make one giant volume with a size of 16TB. This is great if all you want is a massive amount of storage, but since there's no redundancy, if you lose data, it's gone forever — at least, partially. Data in a JBOD array is written sequentially to disks and isn't "striped" across multiple disks, so in the event of a failure, if a drive went bad, you would only lose the data on that drive; which, at 4TB per disk, is still a TON of data. I really would not recommend JBOD unless you already have a backup solution and just want maybe a second archive for long-term storage. Another advantage to JBOD is if you have a bunch of old hard drives laying around, you can make a NAS work in this fashion, even if the drives are of varying capacities. RAID0 — RAID0 is similar to JBOD in that it creates one large volume with the total size of all disks in the array (in my case, that size would be 16TB) — also similar to JBOD in that you can create a RAID0 array out of multiple disks of varying capacities. In a RAID0 array, your data is striped across all of the disks in the array. This means a huge boost in performance and speed, as the data is being written or read across (in this instance) all 4 disks, splitting the "effort" required by each individual disk to read or write large chunks of data. RAID0 is very fast, but the trade off is that since your data is written across the entire array, if one drive fails, you lose ALL of your data, as parts of it ate strewn about all of the drives, and there's no built-in failover/redundancy. As a result of its speed, RAID0 could be good as a temporary "working" drive for videos or projects that maybe multiple people work on, but that do not live there for long, as a failure would be catastrophic for any important data. RAID1 — RAID1 can be thought of as essentially drive replication. RAID1 will mirror the drives in the array exactly. The tradeoff is you get half as much storage, and all of the drives should be the same capacity. So, in this instance, if you have a 4-bay NAS loaded with 4x 4TB drives, you are left with an effective 8TB of storage, since 2 of those drives are being used as mirrors for the other two. RAID1 has inherent redundancy/failover, so if one drive dies, the mirror pics up where it left off, and the failed drive can be replaced and rebuilt from the working drive. It is important to note, though, that any permanent deletions or corruption of files or data on one drive is exactly replicated on its mirror. RAID5 — RAID5 is another fault-tolerant RAID level that can rebuild the data of a failed disk, and is sort of a compromise between RAID0 and RAID1. RAID5 stripes data across multiple drives, as well as writes parity blocks used to recover data in the event of a disk failure — however it only protects against the failure of a single disk at a time. A RAID5 array needs at least 3 disks to function, and the size of the resulting volume is the size of the smallest hard drive in the array (this means you can use disks of varying sizes, but that would result in a waste of space on the larger drives) times the number of disks in the array, minus one of those disks — so in this instance, we have 4x 4TB drives = 16TB of storage, minus one drive for parity (4TB) = 12TB of total storage. TAID5 is hot-swappable, meaning that you keep the ability to read or write data while a failed disk is being replaced. However, beacuse the drive needs to rebuild from parity blocks across all of the drives, recovery from failure is very slow, comparatively. Note that because RAID5 needs at least 3 disks in its array, you cannot configure a RAID5 array on a 2-bay enclosure, so your options on a 2-bay are only JBOD, RAID0 or RAID1. RAID0+1 (or "RAID10") — My personal favorite. RAID0+1/RAID10 takes all of the good things of both RAID0 and RAID1 levels and mashes 'em all into one great solution. With RAID0+1, you get the data duplication of RAID1, with the fast read/write (via "striping") of RAID0. Additionally, because of the mirrored drives, recovery from failure is much faster than RAID5. The down side, however, is that it is not quite as cost-efficient as RAID5, as your total storage effectively gets cut in half, due to drive mirroring. So in this instance, my total volume size is "only" 8TB. But, with the rapidly falling prices of mechanical drives, upgrading the capacity at a later date — when budget permits — won't be a problem. RAID0+1 needs at least 4 drives in its array, because data is striped across multiple drives, and then mirrored. RAID0+1 can also tolerate the failure of multiple disks at a time. As you might already be able to tell, and considering the pros and cons, I went with a RAID0+1 array for my enclosure. RAID0+1 has very fast reads and writes, excellent recovery speed in the event of a failure, and also more resistant to failure in that it can accommodate the failure of multiple disks, should that happen. Do note, though, that you will at the very least need a 4-bay enclosure to run a RAID0+1 (or RAID5) array. One of the first things I did with my NAS after getting it setup, is install and run PLEX Media Server as a service. This allows me access to all of my media (on the NAS) like movies, videos, music, or photos — to any device (the supports plex) on my network, and with a subscription — anywhere in the world. It's like my own personal Netflix. If you're at all involved in IT, this can be invaluable — you can spin up your own virtual machines for testing, or for things like learning labs, experimenting with different operating systems, or run a web/database server from your NAS. Included tools make doing this exceptionally easy. You can also tun your own VPN, DHCP or DNS servers as well. If you already have a cloud storage service like Dropbox, this may not be as big of a plus, aside from the fact that you can have a massive amount of storage available to you, and all of your backup files, wherever you are. 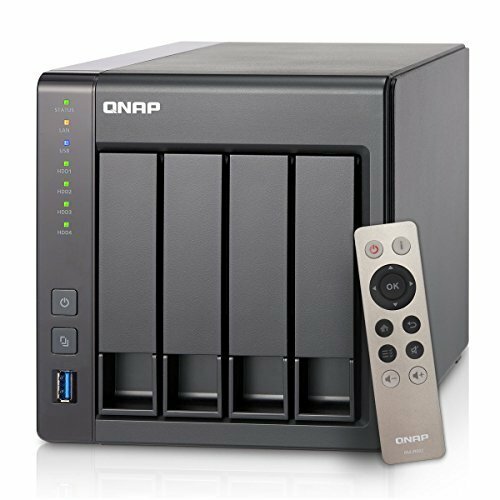 QNAP's personal cloud works very well, and is accessible from your mobile devices, with available apps. Additionally, you can administer your NAS from your browser, with some special configuration. If you use torrents, you can easily make your NAS your own "seedbox" with available apps like Transmission. Available apps unpack the files and serve them up (also helps to increase your ratios), freeing up precious resources from your main workstation. Setting up and configuring your own NAS as an archiving and backup solution is quick and easy. the QNAP interface is easy as well, offering an iPhone-like experience with apps available for nearly any task. Remember — a local backup solution, be it multiple external hard drives, or even a NAS is only one link in a chain of a total backup and disaster recovery solution. For extremely critical data, you should consider off-site or cloud backup/storage services like Dropbox or Carbonite, and if you're currently just using external hard drives, consider purchasing an additional one to keep important photos or documents that you can keep at an alternate location; like at work or your studio, and back those files up often. There are tools that can facilitate and automate incremental backups, but we'll save that for another post. If this has helped you in any way, or if you have any questions or comments, leave 'em down below, or shoot us an e-mail! And, as always, if you're thinking about buying some gear, use our Amazon links throughout this article or down below; it helps us create content that you like to read or helps you out, and it costs you nothing — win/win!